He likes to go for rides every time we take Jack for a ride he sticks his head out the window. When he has not seen someone in a while he will start running around in circles. 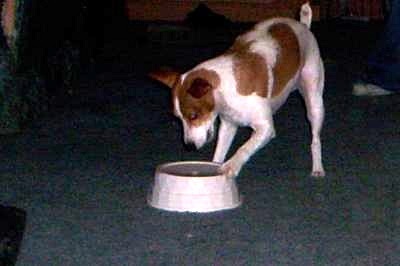 When he drinks all of his water he will bring his bowl to me. He also knows how to roll over, sit, and lie down. He loves to go for walks in the park. His favorite toy is the rope. The best jack russell terrier I have ever seen.